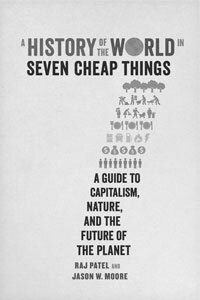 A review of Raj Patel and Jason W. Moore, A History of the World in Seven Cheap Things: A Guide to Capitalism, Nature, and the Future of the Planet (University of California Press, 2017), £19.95. For some time, Jason W. Moore has vigorously promoted himself as the inventor and chief theorist of something he calls “world-ecology,” described in this book as “a way to think through human history in the web of life”.1 In his view, which he presents as an extension of Marxism, Europe’s pillage of human and natural resources in the Americas in the 16th century established a capitalist world-ecology that continues to this day. All subsequent developments, including the industrial revolution, imperialism, monopoly capital and neoliberalism, are just adjustments within the 16th century framework, caused by long-term shifts in the cost of the “cheaps”—mainly raw materials and workers—that capitalism requires. Moore combines this account with a philosophy, mostly borrowed from Bruno Latour, that claims to eliminate all binaries—human and non-human, capitalist and proletarian, and especially society and nature—by merging them into what he calls “bundles” or “assemblages”. He condemns any attempt to consider such categories separately, even for analytical purposes, as “Cartesian dualism,” a philosophy that was “fundamental to the rise of capitalism” and is “directly implicated in the colossal violence, inequality and oppression of the modern world”.2 The major ecological concepts he deems guilty of that thought-crime include the Anthropocene, Earth System science, and (above all) metabolic rift theory, the core of ecological Marxism. 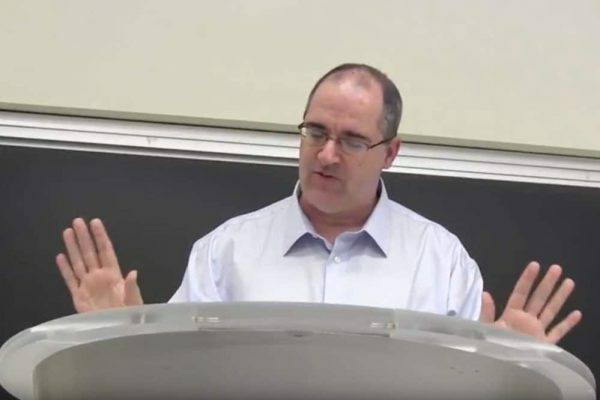 Moore presented his theories at length in Capitalism in the Web of Life, an academic volume that can charitably be described as confusing and difficult to read.3 Now he has partnered with Raj Patel, author of Stuffed and Starved, to produce a popular account of world-ecology for non-academics. They don’t describe their division of labour, but since most of what the book says also appears in Moore’s previous essays and books, it seems likely that he provided the history and theory, while Patel contributed clear prose that keeps academic jargon and philosophical musings to a minimum and eschews the harsh polemics that mark Moore’s other works. Anyone who expects A History of the World will be sorely disappointed, because most of the world and almost all of history are entirely missing. If you check the index first (always a good idea), you will find that the entry for Christopher Columbus, who lived from 1451 to 1506, is 11 lines long, compared to no more than two lines for any other person, living or dead. That imbalance reflects the book’s central thesis, that the most important period in history was the long 16th century—roughly 1450 to 1640—and everything since is just afterthought. That’s why the industrial revolution is mentioned only three times, the French Revolution just twice, and the US Civil War not at all. Patel and Moore begin with a few pages about the end of feudalism in Europe, devote much more space to 16th century colonialism, and touch briefly on other places and times. The topics discussed, and the evidence offered, are carefully selected to support their argument that capitalism was invented in the 1400s on the Portuguese-occupied island of Madeira, that Columbus carried it to the Caribbean, and that from then on it was a fully-developed world-ecology. There is no need to discuss the industrial revolution because 16th century sugar plantations were essentially factories, and no need to discuss the rise of fossil capitalism in the 1800s because the Dutch burned a lot of peat 200 years earlier. The authors’ account of the origins of capitalism is adapted, in simplified form, from Immanuel Wallerstein’s world-systems theory. They never mention that other radical historians view the birth of capitalism differently. Robin Blackburn, the leading historian of western hemisphere slavery, says that early Spanish colonialism was driven by thirst for silver and gold to finance dynastic wars and to buy spices from Asia—it was inhumane and brutal, but not focused on capital accumulation. Henry Heller argues that the 16th century was a time of primitive accumulation, the beginning of a long transition to capitalism that was only completed with the industrial revolution. Charles Post argues that plantation slavery was a non-capitalist mode of production and a barrier to capitalist development.4 Karl Marx, as his masterwork Capital demonstrates, viewed industrial capitalism in 19th century Britain as a distinctive new stage of social and economic history that required in-depth study and analysis: he certainly never suggested that capitalism’s essential characteristics were fully established in Columbus’s time. This is not the only case where they fail to consider other views. In chapter six, for example, they confidently assert that capitalism “changed planetary climate” two centuries before the industrial revolution. The only source they cite is a controversial paper that the experts on the Anthropocene Working Group have refuted in detail, politely describing it as “not compelling”.5 Patel and Moore have every right to disagree with other historical interpretations, but their failure even to mention that contrary views exist is misleading and unfair to readers. Then we have the Seven Cheap Things. In his previous works, Moore insisted that capitalism depends on “Four Cheaps,” labour, food, energy and raw materials. Now, with no explanation for the change, the four have become seven: “We couldn’t do fewer,” they write. The cheap things are discussed in seven chapters, titled “Cheap Nature,” “Cheap Money,” “Cheap Work,” “Cheap Care,” “Cheap Food,” “Cheap Energy” and “Cheap Lives” that comprise most of the book. Each begins with an aspect of Columbus’s invasion, followed by a discussion of the particular “cheap thing” under consideration. Throughout, Patel and Moore attempt to show that capitalists have always aimed to obtain the things they need “with as little compensation as possible…[at] as low a price as possible”.6 That’s certainly true, but it is hard to see why the truism that profit-seekers try to buy low and sell high should be considered a profound insight. Most of the chapters are textbook examples of reification—treating social relationships as things, as objects to be bought and sold. Throughout A History of the World in Seven Cheap Things, complex social-metabolic processes and relationships are reduced to things that capitalists use. Capital is just money. Energy is just fuel. Agriculture and farming are just food and calories. Nature is just raw materials and other inputs to production. The complex subject of social reproduction and the oppression of women in capitalist society is reduced to care. There is no dialectic here, only an unrelenting emphasis on cheapness, as if understanding capitalist development is simply a matter of determining whether the price is right. The reason for that becomes clear in the chapter titled “Cheap Lives,” which includes this astonishing admission: “Technically, lives aren’t a cheap thing in the way that the others are—but it would have made for an infelicitous title to admit this earlier”.9 In other words, “seven cheap things” is an artificial schema, with topics and chapter titles selected to fit the book’s gimmicky title and cover. In International Socialism 153, Jean Parker sharply criticised Moore’s penchant for unnecessarily inventing new words and redefining existing ones.10 A noteworthy example is his insistence on using the word oikeios, which meant belonging to a household in Ancient Greek, for an ill-defined bundle of concepts that he and Patel say “names the creative and multilayered pulse of life making through which all human activity flows, shaped at every turn by natures that consistently elude human efforts at control”.11 Such impressionistic mush adds nothing to our understanding of the relationship between society and the rest of nature, and giving it a Greek name doesn’t help a bit. Moore’s oikeios has a vague relationship to ecology, a word that takes a particularly severe beating in this book. Its actual meaning—the study and analysis of organisms’ relationships with each other and their environments—is simply ignored. Instead, it is constantly used in ways that have no scientific content or, indeed, any content at all. Beginning with world-ecology, an invented term that Moore has previously said “is not the ecology of Nature,”12 Patel and Moore refer frequently to capitalist ecology and capitalism’s ecology—it’s not clear if those are the same. They also refer to feudal ecology, racialised ecology, human ecology, planetary ecology, and an ecology of cash agriculture. They tell us that “policing time was central to capitalism’s ecology,” that “modernity is an ecology,” that “wage labour is a temporal ecology” and that “money is an ecological relation”. Landscape changes that affected only Europe and parts of the Americas are nevertheless labelled “a planetary ecological revolution”. The absurdity of these multiple ecologies is particularly evident in their one sentence account of why deforestation in China didn’t promote colonial expansion as they say it did in Europe: “China’s world-ecology wasn’t committed to global conquest”. If ever there was an explanation that explains nothing, that’s it. Once again, style triumphs over content: Patel and Moore’s alliterative programme—recognition, reparation, redistribution, reimagination and recreation are the subheads—contains not one concrete proposal or demand. They don’t call for repairing the metabolic rifts between society and nature, or for rejection of fossil fuel production, or for removing the capitalist eco-vandals from power. Reparation ecology, it seems, is only a matter of attitude, not action. In recent decades, Marxist scholars and activists around the world have greatly expanded our understanding of capitalism’s war on the earth. While much remains to be done, there are now many books, articles and websites that analyse the global environmental crisis from a Marxist perspective.14 At the same time, scientists have been deepening our knowledge of the planet as an integrated metabolic system, and analysing the disruptions of that system that are forcing us into a new and dangerous stage of Earth history. The potential convergence of ecological Marxism and Earth System science poses exciting possibilities for a revolutionary ecosocialist program and movement in our time. Sadly, A History of the World in Seven Cheap Things stands aside from these important developments. It replaces concrete analysis with an artificial schema that reduces the complex organic relationship between society and the rest of nature to “cheap things”. It misrepresents or ignores ecological science. The programme it promotes is so vague that it can scarcely be called liberal. Its misleading title will undoubtedly attract some readers, but it will not help build the movement we need. ↩ Patel and Moore, 2017, p38. ↩ See Jean Parker’s review—Parker, 2017. ↩ Blackburn, 2013; Heller, 2011; Post, 2012. None of these books is included in Patel and Moore’s 56 page bibliography. ↩ Zalasiewicz and others, 2015. ↩ Patel and Moore, 2017, p22. ↩ Patel and Moore, 2017, p101. ↩ Patel and Moore, 2017, p182. ↩ Patel and Moore, 2017, pp19-20. ↩ Patel and Moore, 2017, p206. Angus, Ian, 2017, “Essential Books on Marxism and Ecology (REVISED),” Climate & Capitalism (10 November). Blackburn, Robin, 2013, The American Crucible: Slavery, Emancipation and Human Rights (Verso). Heller, Henry, 2011, The Birth of Capitalism: A Twenty-First Century Perspective (University of Chicago Press). Moore, Jason W, 2015a, Capitalism in the Web of Life (Verso). Moore, Jason W, 2015b, “Putting Nature to Work: Anthropocene, Capitalocene, and the Challenge of World-Ecology,” in Cecilia Wee, Janneke Schonenbach, and Olaf Arndt (eds), Supramarkt (Irene Books). Nayeri, Kamran, 2016, “‘Capitalism in the Web of Life’—A Critique,” Climate & Capitalism (19 July). Parker, Jean, 2017, “Ecology and Value Theory,” International Socialism 153 (winter). Post, Charles, 2012, The American Road to Capitalism: Studies in Class-Structure, Economic Development and Political Conflict, 1620-1877 (Haymarket). Zalasiewicz, Jan, and others, 2015, “Colonization of the Americas, ‘Little Ice Age’ Climate, and Bomb-produced Carbon: Their Role in Defining the Anthropocene,” The Anthropocene Review, volume 2, issue 2.